The site lies within the grounds of a former Historic Hall which resides in the Green Belt and the local conservation area. There have been several large houses on the site with the final hall designed by E W Pugin. This hall was demolished in the 1960's although the stable courtyard, kennels, church and lodge remain. The site was purchased in 2014 by a local family with the intention of restoring the estate to its former glory. 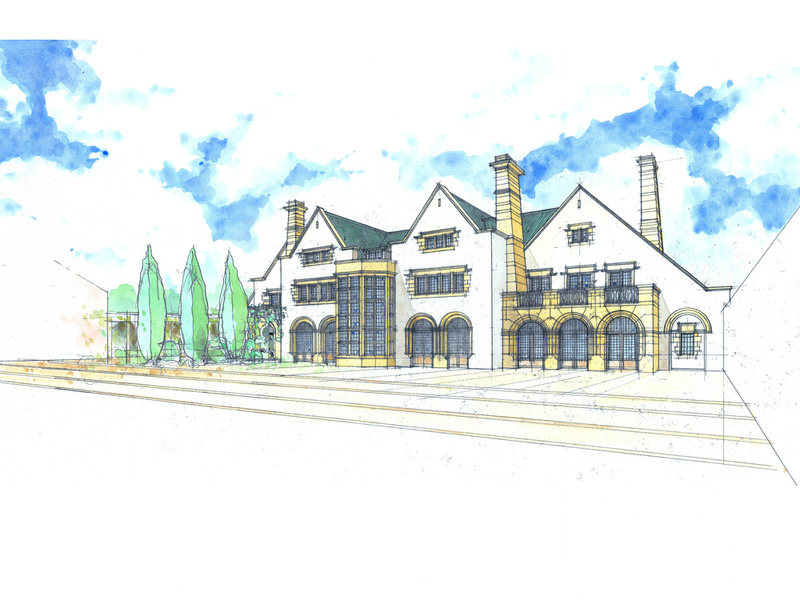 Proposals were developed for a large new Arts & Crafts country house sited within the walled garden and linked to a new leisure complex housed in the existing stable yard. The proposals were subject to extensive pre-application discussion with the local authority and were taken to the regional design review panel as well as being presented to the local community. The proposals were very well received at all stages of the process and no objections were received during the planning process. The application was granted planning permission by unanimous decision at a planning committee in October 2015. Proposed works include the construction of the new house along with extensive landscape design, refurbishment of the church, lodge and kennels as well as fully designed interiors and furniture.